If you are a fan of Call of Duty series, then today we have lots of interesting information for you about the latter released and the new instalments in this franchise. 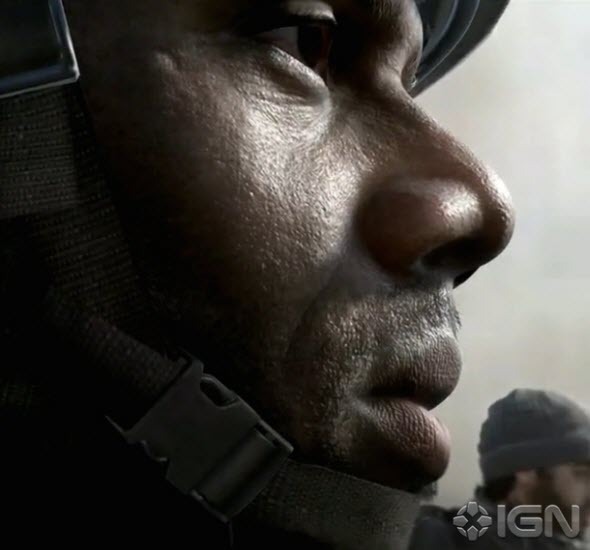 Thus, yesterday, the first screenshot of Call of Duty 2014 - the next part in the series, the release of which is scheduled for this autumn, - appeared in the network. This picture was shown for the first time during GDC 2014 - the game developers conference, which took place last month, - by Sledgehammer Games company. This studio has been developing Call of Duty 2014 for the last 3 years, and already this fall it will be ready to present us the final variant. For the current moment we know that the game is being created for the next-gen consoles and PC, but there is no information about the project’s versions for PS3 and Xbox 360. On the screenshot below we can see an in-game character of the future project, and it seems that its quality is good enough. And what do you think? Besides it, yesterday, 6 new personalization CoD: Ghosts DLCs - Blunt Force, 1987, Molten, Eyeballs, Hex, Heartlands, - and Soap Legend Pack, which will not only provide you with lots of nice items (the reticle, the weapon camo, the player patch, the background, the player card), but will let you play for John “Soap” MacTavish, became available. So far all these CoD: Ghosts DLCs can be bought by the owners of Microsoft’s consoles, but in the near future they will be available for the rest of platforms. And in order to celebrate the add-ons’ launch, the developer has published new video, in which all these Call of Duty: Ghosts packs and their content are demonstrated. Enjoy!